Three days a week I’m in a hospital. There are remarkable moments of birth and successful treatment and miraculous recovery. There are moments of deep pain and loss. And then there are moments of confusion and frustration. One afternoon I walked into a room. A father and son were caught in that frustration. The father, in his 80s, had a tube in his throat so he couldn’t talk. And his hands just couldn’t grip anything to write legibly. I walked in and introduced myself as Chaplain Jon. And then I started trying to help the son understand what the father wanted. But it was hard. Because the son didn’t have the patience to wait, to watch, to look sound-by-sound at the words his dad was trying to form. We finally figured out that the dad wanted me to pray. And I did. What would have been helpful is a simple set of communication tools. A communication board that the son could have pointed at. Simple “yes” and “no” words large enough for trembling fingers to touch. Some common questions and answers that the patient could point to, allowing for complete sentences rather than single words or sounds. But it wasn’t available in the room. I watch some of the hardest moments with hard questions. Do you know who I really am? Can someone help me remember all of this? 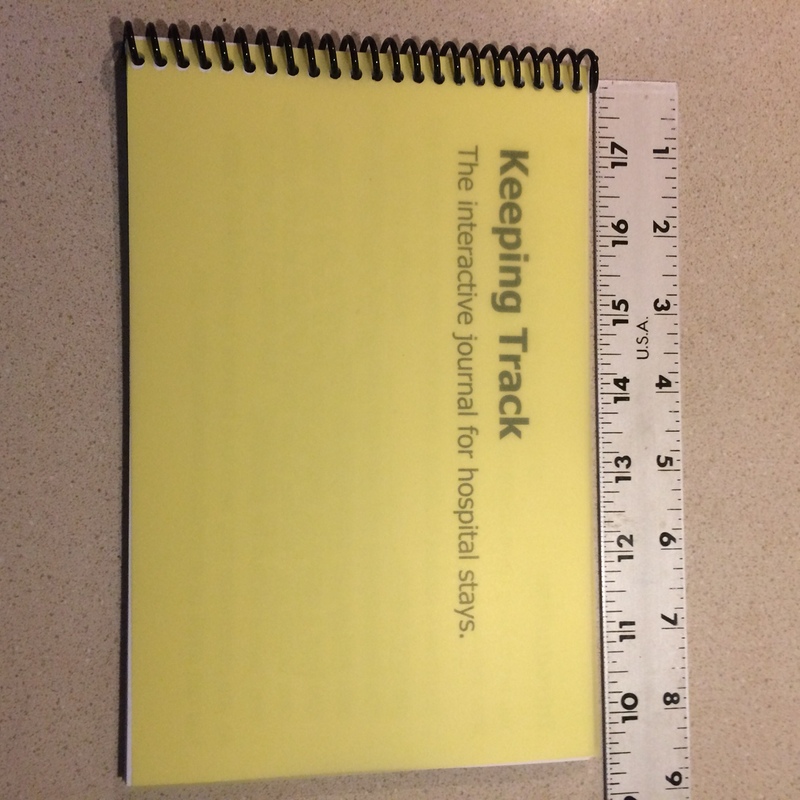 So I’m working on what I’m calling an interactive hospital journal. It’s designed to help with these moments of frustration and confusion. There are two fronts to the journal. One is for the introduction and note-taking side, the other for the communication assistance side. And, with a YES and NO on the cover, it’s simple for a person to point rather than having to speak anytime the journal is out. 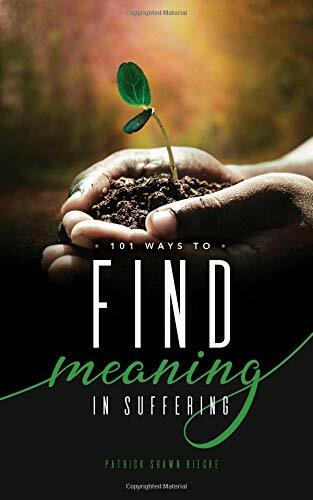 Inside the Keeping Track cover are three resources. The about me section offers several statements that will share important information with the staff. They can be completed by the patient or by a friend or family member. The daily pages have space to write down what people say. (You can even ask the physician to write it.) There is space for notes, and questions for reviewing the day. And there are journal pages which can be for overflow from the daily pages or other journaling needs. 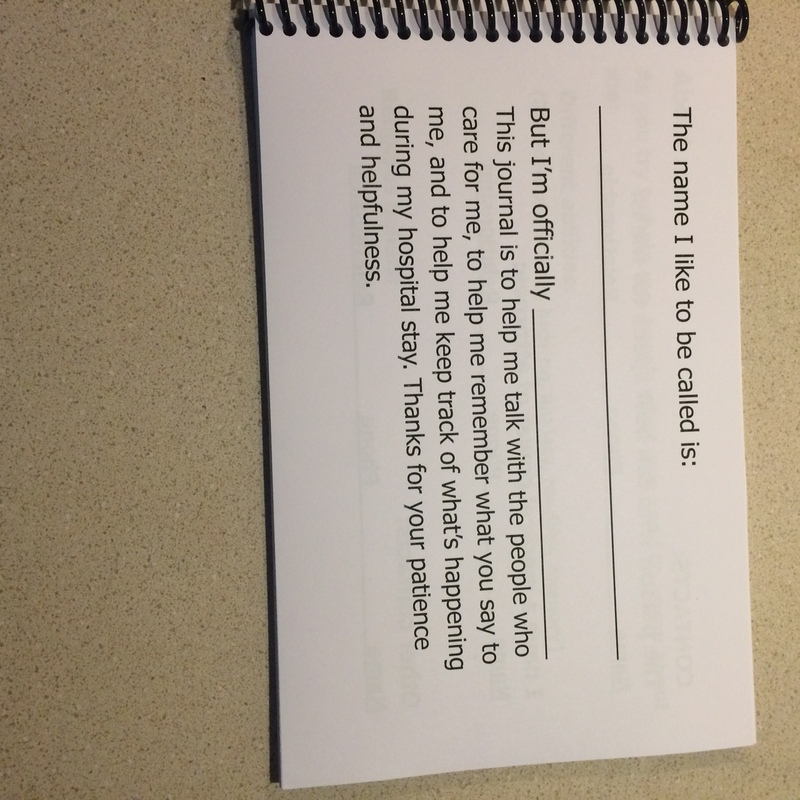 If you turn the book over and start from the other side, there is an assisted communication section. 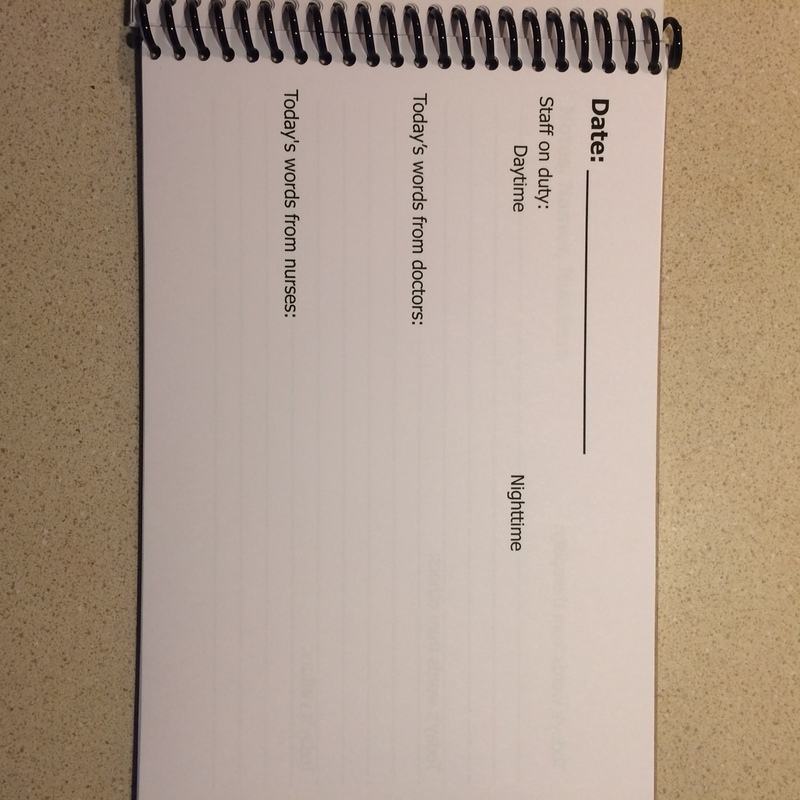 On the left side of each page are statements that a person can point to in order to ask questions or answer them. There are blank squares for customizing the book. On the right side is a letter board. 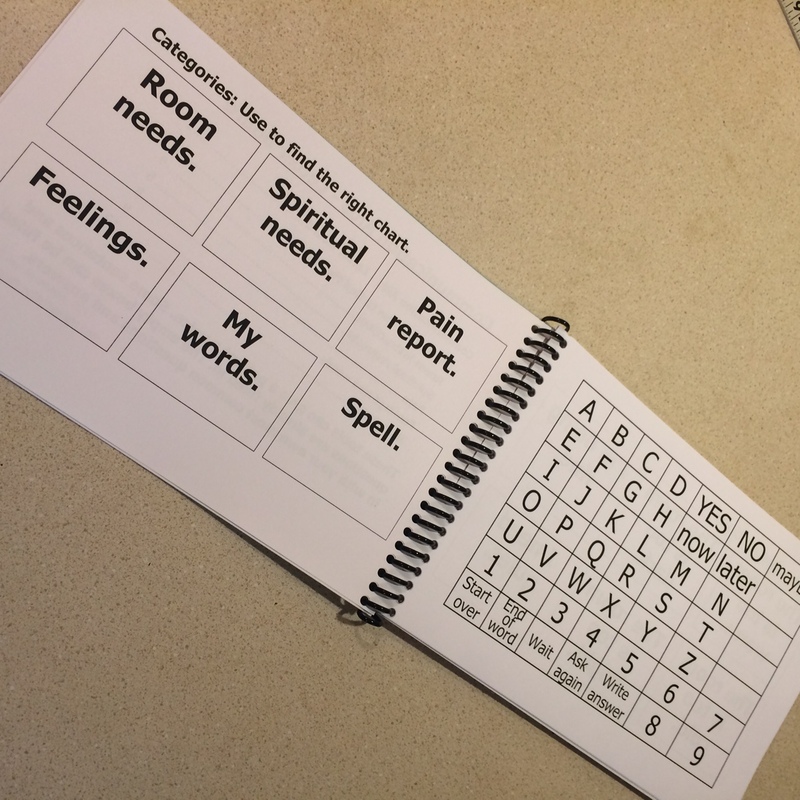 If you would like to help refine this journal by using it or sharing it, I’ve got 5 3 beta copies, available for using if you are going to be in the hospital for 4 days (or know someone who is). Please let me know if you have any questions, comments, or interest.